Early Intervention and Special Education Services work closely with community service agencies, parents, and local school systems to locate children with disabilities. Why Is Child Find Important? 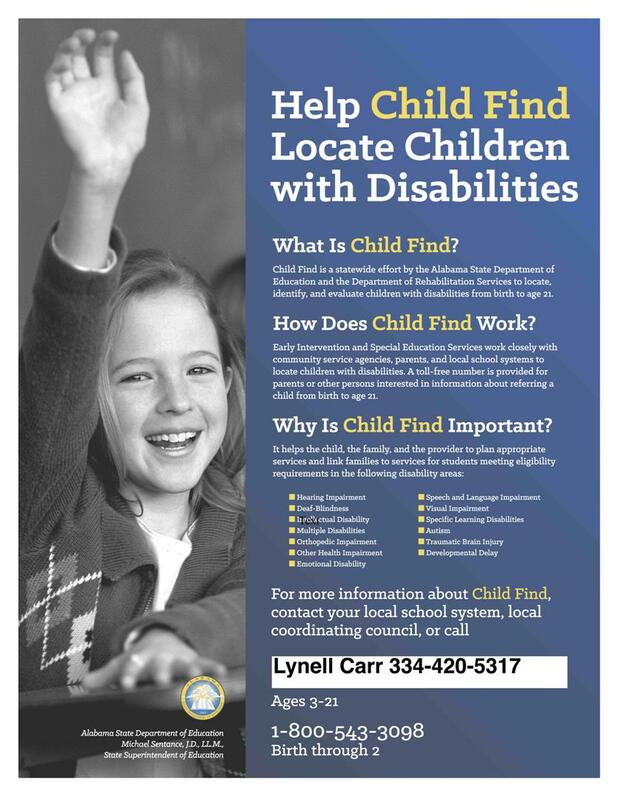 For more information about Child Find contact Lynell Carr with Pike Road Schools at 334-420-5317 or lynell.carr@pikeroadschools.org. Early Intervention Services from birth to age 3 are identified through the Early Intervention Program. For information about these services, contact Lynell Carr with Pike Road Schools at 334-420-5317 or lynell.carr@pikeroadschools.org.